Semper Fit Center at Kaneohe Bay is implementing a new program open to 14 and 15 year olds who, upon the completion of a Fitness Basics class, will be issued an individualized pass to use the Center on their own without an adult accompaniment. Currently Semper Fit Center policy states that children ages 12-15 need to be accompanied by an adult. Children ages 16-18 have unrestricted access. The JUNIORS PROGRAM satisfies the between ages and allows parents to choose whether or not their 14 and 15 year olds can get an early start on utilizing the facility before the age of 16. Upon completion of the class the participants will receive a badge and will be granted independent access to the Fitness Center from 1400-1730, Monday through Friday, and during regular operational hours on the weekends and holidays. Even with completion of the Fitness Basics class, youth must be accompanied by an adult outside of these designated hours. Independent access will be granted to all Group Exercise classes regardless of times (participant fees still apply). Participants must present their Military ID and badge upon entering the facility following completion of the basics class. See this SF Junior’s Program PDF for more details. When: Held every 2nd Thursday of each month from 1500-1630. FUN + FITNESS = KIDFIT !!! 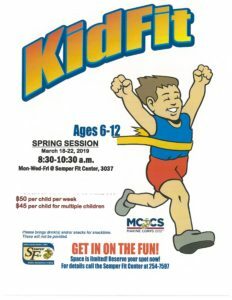 KidFit is a GREAT opportunity for children ages 6 thru 12 to learn all aspects of physical well being. Your child will learn the importance of warming up, stretching, cardio respiratory fitness, strength and conditioning as well as cool downs. A variety of youth sports are offered throughout the year including basketball, soccer, flag football, cheerleading, baseball, volleyball, wrestling, and inline hockey. Youth are divided by age groups and will compete against teams from other Hawaii military installations in the Hawaii Military Youth Athletic Association. Generally, teams will practice during weekday afternoons and participate in games on Saturdays. 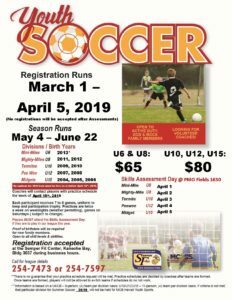 These are instructional leagues that feature minimum playing times for each player and emphasize sportsmanship, skill development, and instilling a lifelong desire to play sports. Players receive game uniforms which they keep at the conclusion of the season. 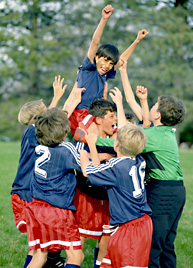 Fees will vary slightly from year to year and according to the particular sport. Our intent is to create a fun and meaningful experience for families. Please read over this Parent Handbook to help make this a successful time for the children, parents and coaches. 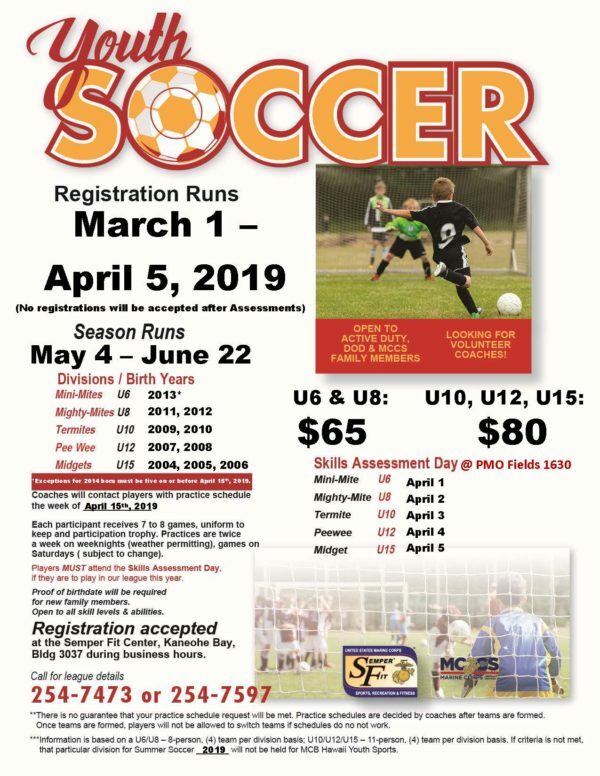 Call the Youth Sports Coordinator at 254-7473 for more information on upcoming sports. 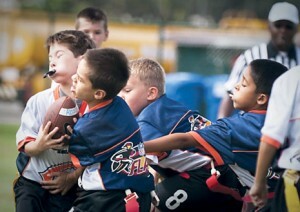 Youth Sports Volunteer Coaches Needed! We are constantly on the lookout for volunteer coaches. Please read over the Coaches Handbook to help make this a successful time for the children, parents, and coaches. 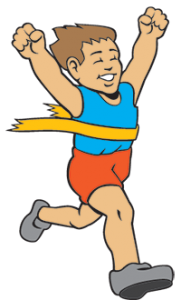 HITT for Kids is a clinic developed and instructed by Semper Fit instructors and Certified Strength and conditioning Specialist to increase speed, quickness and agility in conjunction with youth sports (for children 5-18 years old). Activities include: active/dynamic warm-up (general mobility, muscle activation, transit mobility and dynamic mobility), sprints, cone drills, hurdles, agility ladders, relays, and more. Call 808-254-7597 for the next clinic dates. For junior tennis programs, please see our Contracted Classes page. or visit the Semper Fit Center, Bldg. 3037, Kaneohe Bay.